I’ve seen a few news reports about WiFi connectivity issues with Microsoft’s increasingly popular Surface Pro 3, primarily that some machines don’t reconnect to a network and/or that the WiFi adapter can’t be found after waking from certain sleep states. Microsoft has released a number of firmware updates aimed in part at resolving the issues, and indeed my own Surface Pro 3 (which suffered from both issues) now performs perfectly. From what I can tell by monitoring a number of Surface forums, most people have also seen partial or complete fixes with a smaller number of users still experiencing issues. One story on Softpedia implies that the MacBook Air, Microsoft’s chosen competitor for the Surface Pro 3, doesn’t experience such problems. 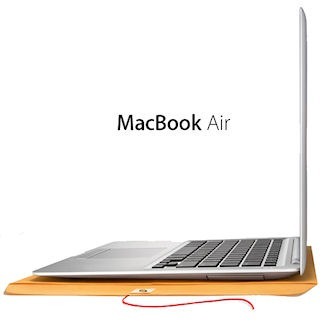 I found this an interesting contention, since I remember suffering from very similar issues in the months following my purchse of a 2012 MacBook Air shortly after its release. And so, I conducted a very non-scientific study to see if, indeed, the MacBook Air has enjoyed perfect reliability when it comes to WiFi connectivity. I didn’t extend my study to determine how long it took Apple to resolve the issues, nor how widespread they’ve been. From what I could tell, doing so wasn’t really necessary. And, forming conclusions based on forum discussion is suspect on its face (as Softpedia seems to have done in their story, and which seems generally common), because far more people visit forums to report issues than visit forums to report that everything’s working fine. My suspicion is that the MacBook Air experience has been similar to that with the Surface Pro 3–the issue was fixed for most people relatively soon after the machine’s release but that some people continued to suffer long after. My point? Problems like these are common to all manufacturers. A quick search will turn up problems for every device ever made, by Apple or anyone else. It’s frustrating when it occurs, and sometimes problems can take longer than others to resolve. But it’s the nature of the beast–in a vibrant industry with short product lifecycles and intense competition, it’s unreasonable to believe that any company can afford to spend the time and money necessary to produce a perfect machine right out of the gate. My advice is simple: if you want to avoid such problems, then don’t be an early adopter; wait a few months before buying any new device.